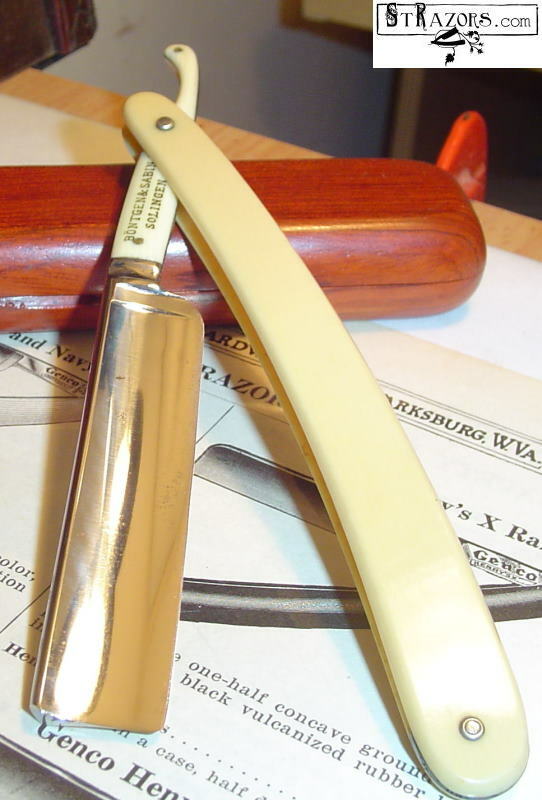 STRAZORS.com - all about classic razors - Bontgen & Sabin, Solingen. The company existed 1870 -1983. Registered 22nd December 1876. Located Solingen, Mittelstrasse 13 since 1935 and on, renamed in Elsa-Brandstrom-Strasse 13-15, from 1939 till 1970. 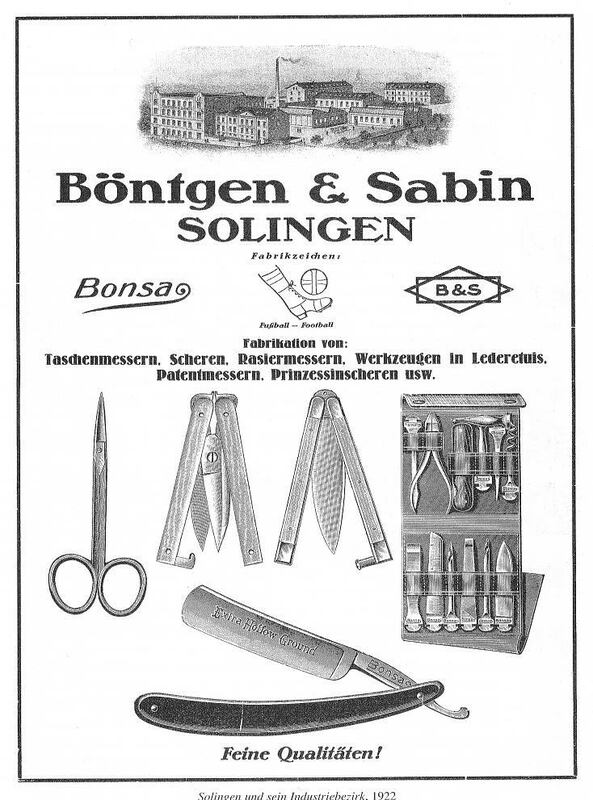 The factory was founded in August, 1870 by Walter Böntgen and Louis Sabin. 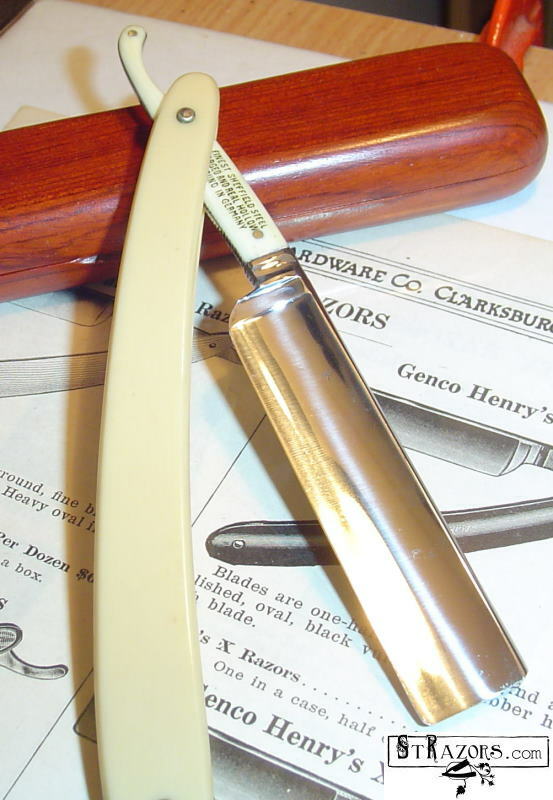 The firm is mentioned in the Warenzeichenblatt supplement of 1905 as the manufacturer of 'pocket knives, shears, shaving knives, and patented knives'. Brandnames: Loreley (1895 No10122), Cosmopolit (1895 No10470), Кappapa (1895 No10015), Rhein (1895No9957), Flying Dutchman (1897 No25019), Flying Scotchman (1902 No55271), Ezyshave (1898 No34432), Autocrat (1899 No35531), Zando (1902 No55964), Clansman (1902 No55059), Bonsa (1902 No52288), Sarina, Sabina, Autofix, Bellring, Bonanza, Hector, Hindenburg, Keystone, Klosscut, Midget, Mois, Nagraf, Fussball and Football, SSS im Kreis. Trademarks: В&S in diamond and a rectangle (1901 No49959), a foot and a football, and the unknown trademark (No 103529). Böntgen & Sabin's 1880 German folding knife patent No 11072.